Josh Bailey’s affinity for both hockey and fishing dates back to his childhood days growing up in Bowmanville, Ontario, about an hour’s drive from downtown Toronto. The thought – combining his love of hockey and fishing – has certainly crossed Josh Bailey’s mind before. And yes, there is room on the boat for Stanley to come along. Bailey’s affinity for both hockey and fishing dates back to his childhood days growing up in Bowmanville, Ontario, about an hour’s drive from downtown Toronto. During the winter, Bailey would spend countless hours at the rink, practicing and playing, working on every aspect of his game. When summer came, if he wasn’t playing street hockey with his brother and friends, he often spent time at his grandparents’ home out in the country, casting a line and hoping to reel in a fish or two. 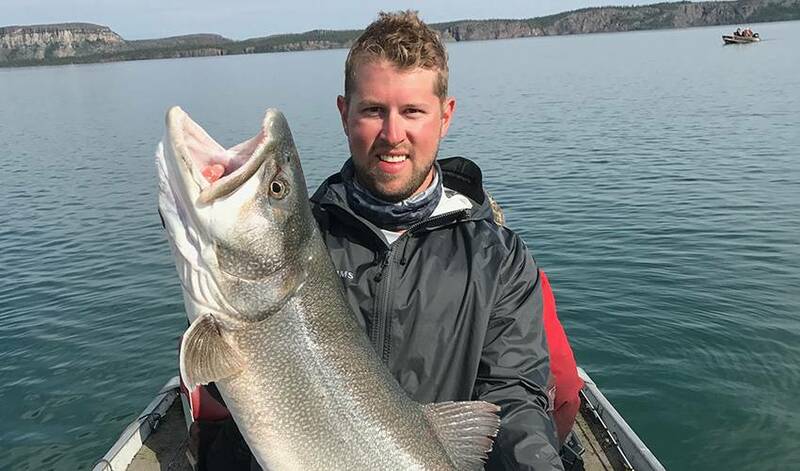 When Bailey, selected by the Islanders ninth overall in 2008, purchased a cottage after his second NHL season (2009-10), his passion for fishing grew. His most memorable fishing tale to date came last summer. Bailey, along with several family members and a couple of pals, vacationed in the Northwest Territories, fishing various lakes near Yellowknife. It was, he said, the ideal way to experience the great outdoors. “We did a fly-in trip and stayed four nights,” said Bailey, who posted a career-best 56 points in 2016-17. “It was phenomenal. We caught tons of lake trout and northern pike. They consider a trophy-like lake trout to be 20 pounds and I think within our group, we caught 40 of them over 20 pounds. We caught so many of them. I’d say that time was the best fishing experience for all of us. The winger, who is averaging 1.24 points per game in 2017-18, and has combined with Islanders captain John Tavares and Anders Lee to become one of the NHL’s most lethal lines, has also shared his love of fishing with some of his teammates. Whether he reels in a few prized catches or doesn’t get a bite, Bailey never heads home disappointed. He was talking about fishing. But Bailey could just have easily been talking hockey. On the water or on the ice, his focus is on netting the big one. Come next summer, the 28-year-old is hoping he can say he did both.